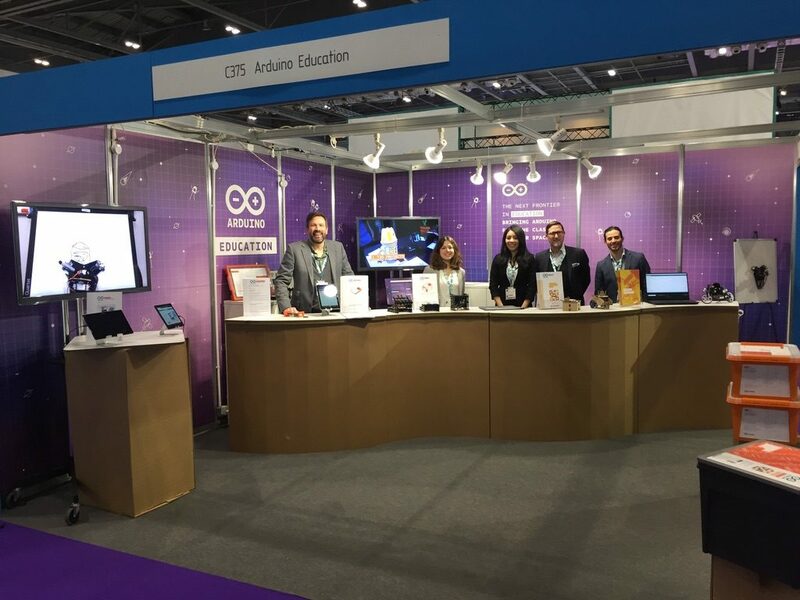 Arduino Blog » Come meet the Arduino Education team at Bett 2019! 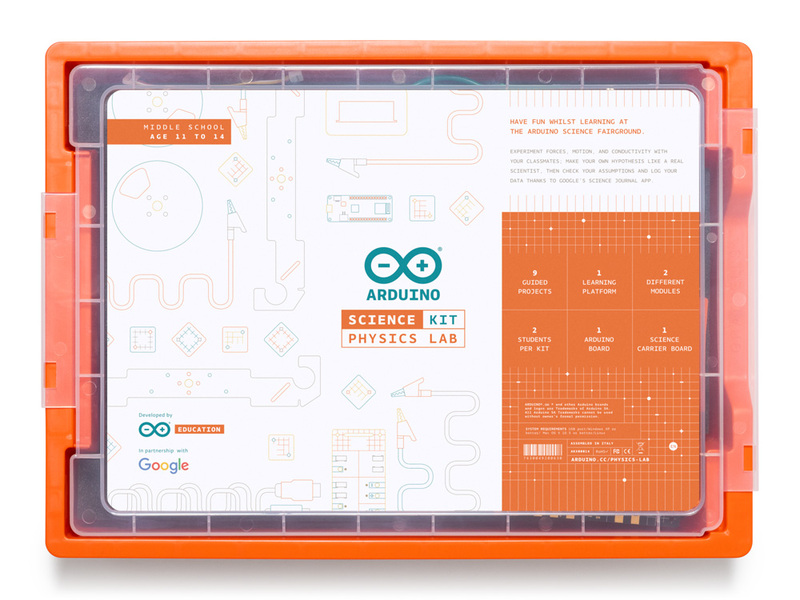 Arduino and Google launch new Arduino Education Science Kit! Come meet the Arduino Education team at Bett 2019! 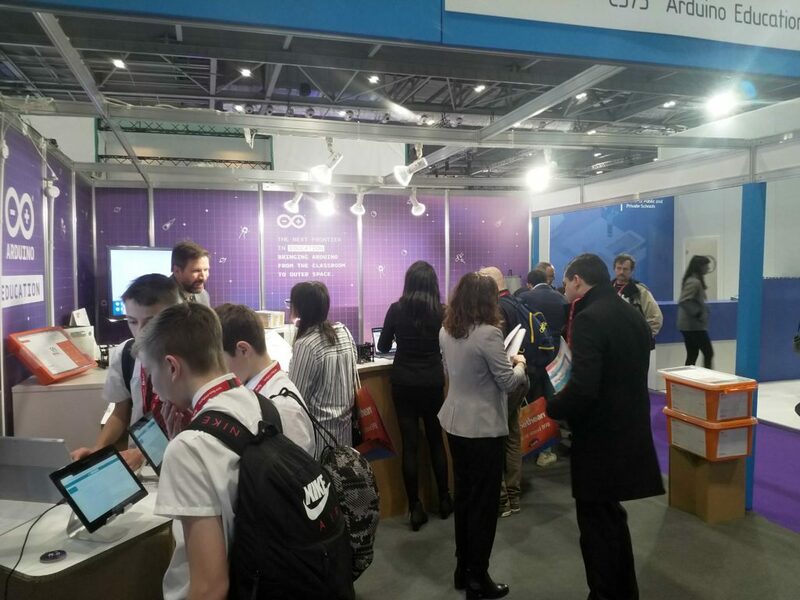 The Arduino Education team is returning to the Bett Show this week, where you can expect to find our latest products and programs for empowering students and teachers alike. This year, we’re further strengthening our STEAM-focused offerings across the spectrum with the first-ever kit for middle schoolers, the Arduino Science Kit Physics Lab, developed in partnership with Google; the introductory module of the official Arduino Certification Program; a new addition to the Arduino Creative Technologies in the Classroom lineup, CTC GO! ; and a thematic annual initiative which will kick off in 2019 with ‘Arduino and Space’ for the entire global education community. Those visiting our stand (C375) will also have a chance to learn more about the Arduino CTC 101 program and Arduino Engineering Kit, both of are being successfully deployed in classrooms throughout the world. The Arduino Education Science Kit Physics Lab, our first kit targeted at middle schoolers, provides children ages 11 to 14 with a hands-on experience, enabling them to explore forces, motion, and conductivity with their classmates. Students can form their own hypothesis like a real scientist, then check their assumptions, and log data thanks to Google’s Science Journal app — a digital notebook for conducting and documenting science experiments using the unique capabilities of their own devices. The kit, based on the MKR WiFi 1010, features a range of sensors to measure light, temperature, motion, and magnetic fields; plus it comes with a set of props and full access to online course content for teachers and students to conduct nine exciting science projects inspired by popular fairground rides like the Gravitron and Pirate Ship. Take Your Arduino Skills to the Next Level and Become Certified! 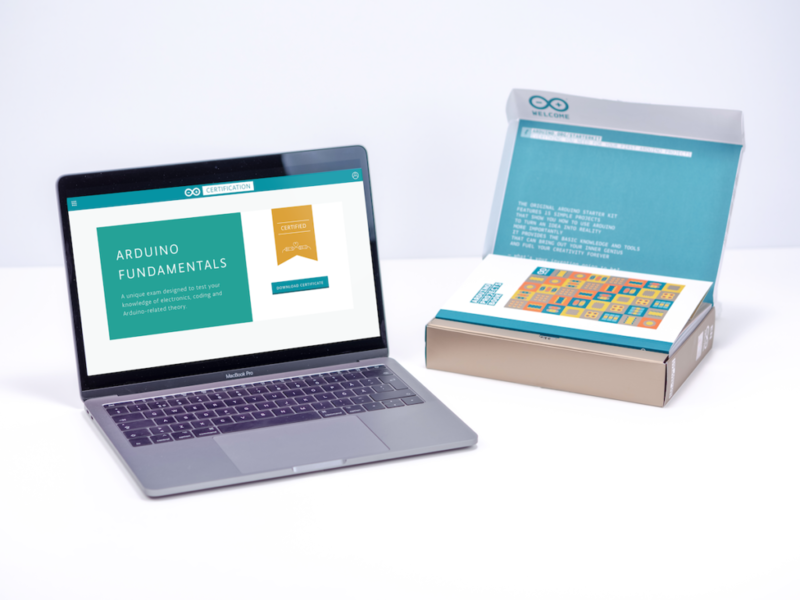 The Arduino Certification: Fundamentals Exam is a structured way to enhance and validate your Arduino skills, and receive official recognition as you progress. Anyone interested in engaging with Arduino through a process that involves study, practice, and project building is encouraged to pursue this official certificate. Developed in consultation with leading technology curriculum, interaction design, and electronic engineering professionals, the Arduino Certification: Fundamentals certification assesses skills based on exercises consisting of practical tasks from the Arduino Starter Kit. The official assessment covers three main key areas: theory and introduction to Arduino, electronics, and coding. CTC GO! 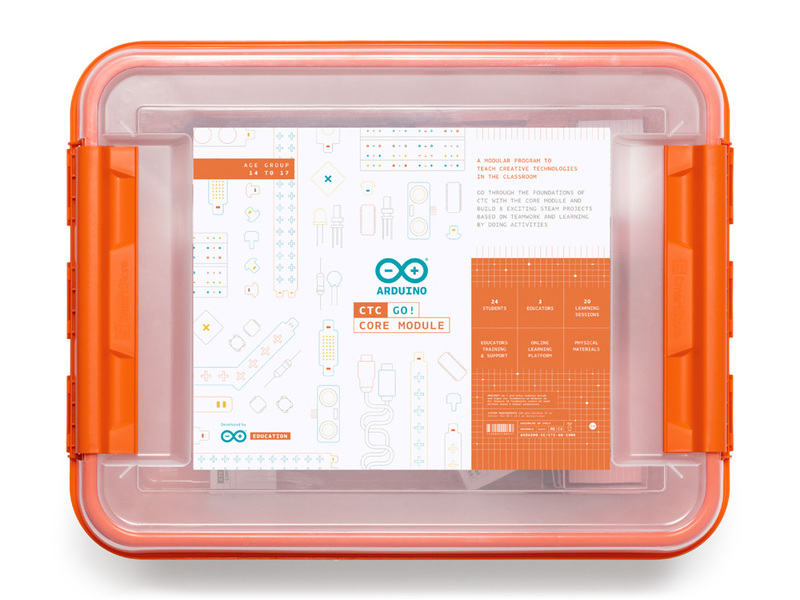 is the newest member of Arduino’s Creative Technologies in the Classroom lineup. The program consists of a series of modules which can be combined to teach various STEAM subjects to fit with different educational paths. The core module — which is the foundation of CTC GO! — is now available, while an assortment of expansion modules will be launched sequentially from 2019 to 2021. These include a motion module, a wireless module, and math module, all of which will contain new materials, content, and educators training / support. CTC GO! has been designed around the recently announced Arduino Uno WiFi, our most powerful board for education. The board maintains the simplicity of the standard Uno with the incorporation of WiFi so students can learn about wireless technology and begin creating their own IoT projects. Through the project-based learning (PBL) methodology, CTC GO! introduces students to basic concepts via a series of playful, well-documented projects and easy-to-assemble experiments. CTC GO! also provides premium training and support for educators through online videos, webinars, and expert-answered emails. The human exploration of space has inspired endless projects within the STEAM community, many of which leveraging the Arduino platform. 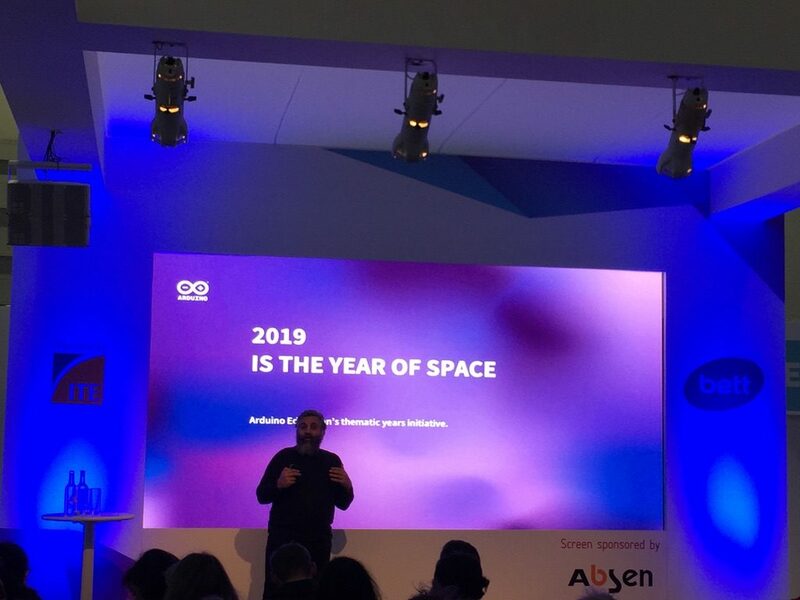 David Cuartielles, Arduino Co-Founder and Education CTO, took the Bett stage (Post 16 Theatre) on Wednesday morning to discuss innovative ways to engage students inside (and outside) the classroom. This session showcased the work of master students from the Space Department at Sweden’s Lulea University and their machines that extract water from the cold air of Mars; educational robots from the German Space Agency (DLR); and CanSats made by K12 students in Aguascalientes, Mexico, among others. During the talk, David and Electronic Cats CanSat’s Andres Sabas shared how they were able to get college students to program and launch 40 small satellites using open source hardware and aerostatic balloons.